When it comes to transporting your goods, property or products, making sure that everything arrives on time, safely and in one piece is the difference between a failure and a successful removal. As specialists in the transportation industry, you can trust FMV to transport your items in a professional, reliable and secure manner, without delay. From removals, multi-drop requirements, office moves and relocations, all the way to contract work over a specific period of time; we specialise in the safe removal of your goods so that you don't have to worry. Offering a professional man and van in the city of London, we know the busy streets and the private estates, with years of experience in the industry and a careful combination of knowledge and expertise when it comes to transportation. Our partner vans come fully equipped and ready to suit your exact requirements, so whether you need urgent next day delivery from anywhere around the city of London, to local removals for homeowners, students or re-locators, we're available 24/7, 365 days a year. For a full list of our services, please visit www.finestmanvan.co.uk/services to learn more. So if you're looking for a professional, reliable and knowledgeable removal service, FMV is here for you. We prioritise our working relationship with our customers above all else to ensure that you receive the highest quality of service, at the fairest prices around. Not only that, but we have the skills from years of experience, speed to ensure that all of your goods arrive on time and to suit your schedule, with an ability to handle surprises should anything pop up unexpectedly. We're always willing to help and our reputation is built on our honesty and trust, something that can be seen in our positive reviews from our customer base. For all of your removal, transportation and delivery requirements, you don't need to look any further than FMV. We provide our customers with a fantastic range of services to suit their every need, all in a timely, professional and hard-working manner. Whether you require office moves during relocations or expansions, a simple local removal that you want to ensure arrives in perfect condition, contract work so that you aren't tied down to excessive payments, or even Ikea collections from one of their stores to your doorstep, we have the skills, experience and speed to get your goods where you need them to be, on time and securely. 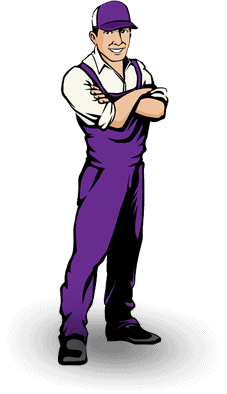 For a full list of our services, please check out http://www.finestmanvan.co.uk/man-with-a-van-services now. We pride ourselves on our services, from your basic removal project to a more extensive courier service throughout the entire United Kingdom. If you need a reliable man and van in the City of Westminster, then look no further. We provide removals in and around the City of Westminster to suit you. Within this bustling city, we understand how important it is to be able to manoeuvre the busy streets without delay and above all else; safely. We have an extensive knowledge of the high streets, back roads and even the private ones that enables us to easily navigate across the entire city so that there's never a delay in getting your goods from one location to the next, in a secure and professional way. So why choose FMV for your removal requirements? Well not only do we make sure that every single one of our customers are entirely satisfied, but we have the feedback to demonstrate just how happy our clients are with us. Check out our reviews for a little more information on just how hard-working we are. We also pride ourselves on the quality of our work, being fully uniformed at all times and using some of the most up to date equipment at our disposal. It's this careful combination of professionalism, fair price and punctuality that makes us a winning team. Without our enthusiasm, clear communication skills and ability to handle surprises, we wouldn't be able to take on the projects in the way that we do. Because of this experience and skill, we can go above and beyond your expectations so that we not only provide a great service, but a service that you'll be happy wiFor all of your removal, transportation and delivery requirements, you don't need to look any further than FMV. We provide our customers with a fantastic range of services to suit their every need, all in a timely, professional and hard-working manner. Whether you require office moves during relocations or expansions, a simple local removal that you want to ensure arrives in perfect condition, contract work so that you aren't tied down to excessive payments, or even Ikea collections from one of their stores to your doorstep, we have the skills, experience and speed to get your goods where you need them to be, on time and securely. For a full list of our services, please check out http://www.finestmanvan.co.uk/man-with-a-van-services now. So why choose FMV for your removal requirements? Well not only do we make sure that every single one of our customers are entirely satisfied, but we have the feedback to demonstrate just how happy our clients are with us. Check out our reviews for a little more information on just how hard-working we are. We also pride ourselves on the quality of our work, being fully uniformed at all times and using some of the most up to date equipment at our disposal. It's this careful combination of professionalism, fair price and punctuality that makes us a winning team. Without our enthusiasm, clear communication skills and ability to handle surprises, we wouldn't be able to take on the projects in the way that we do. Because of this experience and skill, we can go above and beyond your expectations so that we not only provide a great service, but a service that you'll be happy withFor all of your removal, transportation and delivery requirements, you don't need to look any further than FMV. We provide our customers with a fantastic range of services to suit their every need, all in a timely, professional and hard-working manner. Whether you require office moves during relocations or expansions, a simple local removal that you want to ensure arrives in perfect condition, contract work so that you aren't tied down to excessive payments, or even Ikea collections from one of their stores to your doorstep, we have the skills, experience and speed to get your goods where you need them to be, on time and securely. 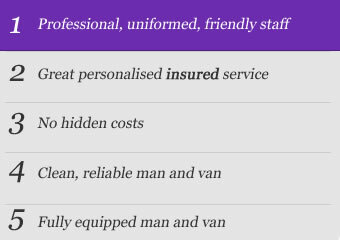 For a full list of our services, please check out http://www.finestmanvan.co.uk/man-with-a-van-services now. We have now used this company two years in a row and would highly recommend them. The two man team today of Joaquim & co were wonderful. They are kind, friendly and very respectful of our things. They are super fast, diligent and trustworthy - also, great value service. Will never use another comoant and we will keep coming back! Highly recommend them! Really friendly, efficient - great job! Would definitely use them again. 5 stars. I just wanted to drop you a quick line to thank you for your fantastic service on Friday and throughout the booking service! The booking was extremely easy and flexible when I first arranged this and more so the price was BY FAR the most competitive on the market! When I changed the date that your service was required, this was done with ease and no questions asked. When I asked about taking more things that I originally mentioned in my quote request, this was done and no additional charge was made. Your driver on Friday was friendly and polite and most importantly was PATIENT! There was a small wait at the new address as we were a bit early but there was no pressure or no impatience from your driver and he fulfilled the job amazingly! Kudos to you all as you are doing a wonderful job! I will be sure to recommend you to friends that may require your service! Your guys were brilliant- efficient, careful and the job was completed very easily. Great team of guys you have there! Thanks for all your help- will definitely keep your details for next time. Had to alter my booking last minute this was done hassle free. Drivers were on time, very helpful, worked quickly, nothing was too much trouble for either of them. What I had envisaged being a stressful day turned out to be pretty much stress free due to London's Finest. Will be using the services again for sure. Well done! I would like to commend your two employees who helped me move on Saturday. They were efficient and pleasant and got the job done quickly. I will definitely recommend your company to my friends. Many thanks. Just Wanted to say a BIG thank you to Nuno and Joseph for all their help today. Collected some furniture from Kent and they were early and packed everything really securely in the van. At home they packed it all neatly in our garage, which was a bit of a tight squeeze, so really appreciate the time taken. Throughout they were professional and friendly and provided an excellent service. I will deifinitely recommend you and will be using you for moving our house next month.